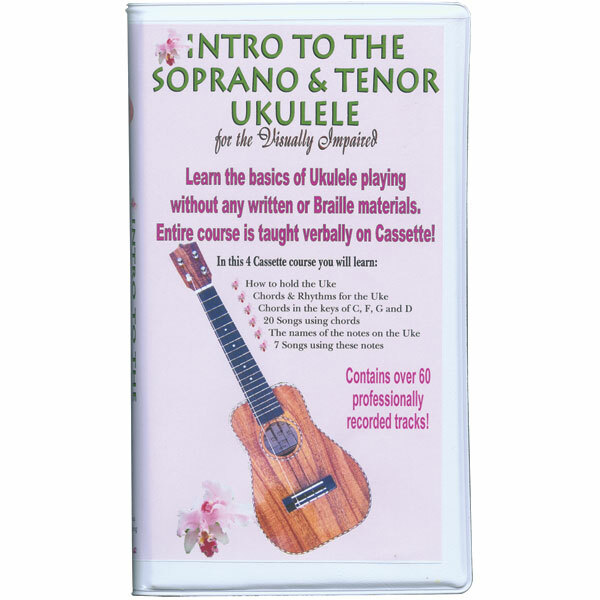 This CD-based course talks the blind or low vision student through holding the Uke, part names, tuning, chord and rhythm playing, as well as notes and melody playing. It is also loaded with backup tracks to listen to and play along with. Bill Brown, your teacher for this course, has been teaching people of all ages how to play the guitar, bass guitar, banjo, piano, mandolin and sax for over twenty-five years. The styles he has taught include everything from Classical to Heavy Metal. He began recording his lessons (covering over 400 songs) to make them available to music students worldwide. This course makes his knowledge of the ukulele available to those with visual impairments.